A logistics business keeps you on your toes. You must ensure your vehicles are in good shape and available to haul cargo; find cargo, make sure the cargo is delivered on time and manage the cargo transit environment with its plethora of paper work, which in India – land of forms, taxes and toll plazas by the dozen, is never easy. Finally, there is that vigil over one’s vehicles being on Indian roads and surviving the traffic. Logistics is not for the faint of heart. 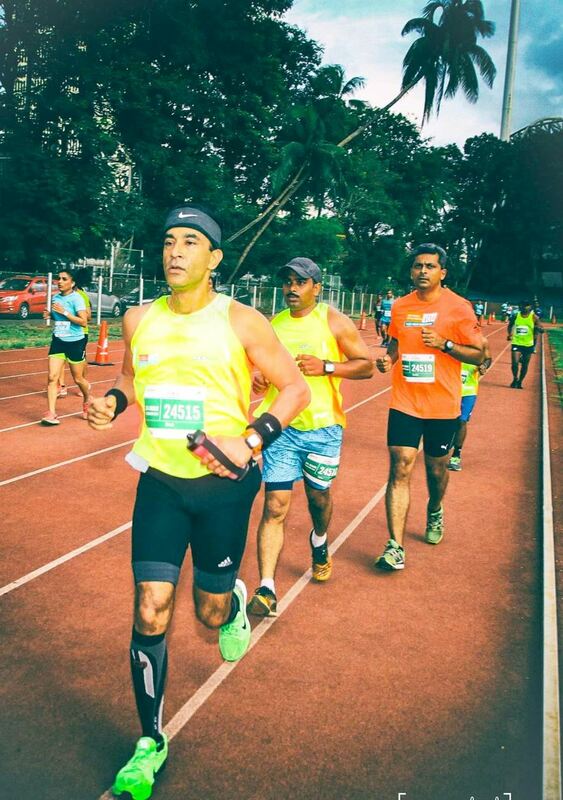 That modern work place – the smartphone – didn’t spare Girish Bindra even in the depths of a 48 hour-stadium run. 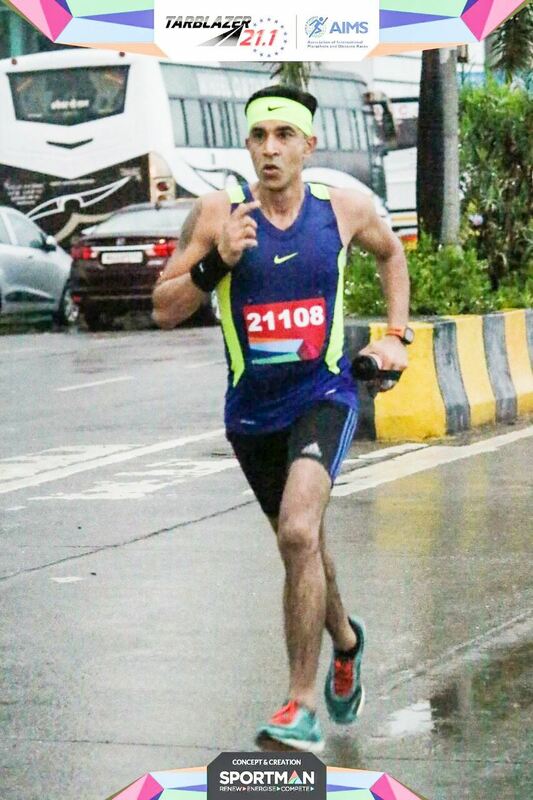 Transporter by profession, he is currently among Mumbai’s leading ultramarathon runners. 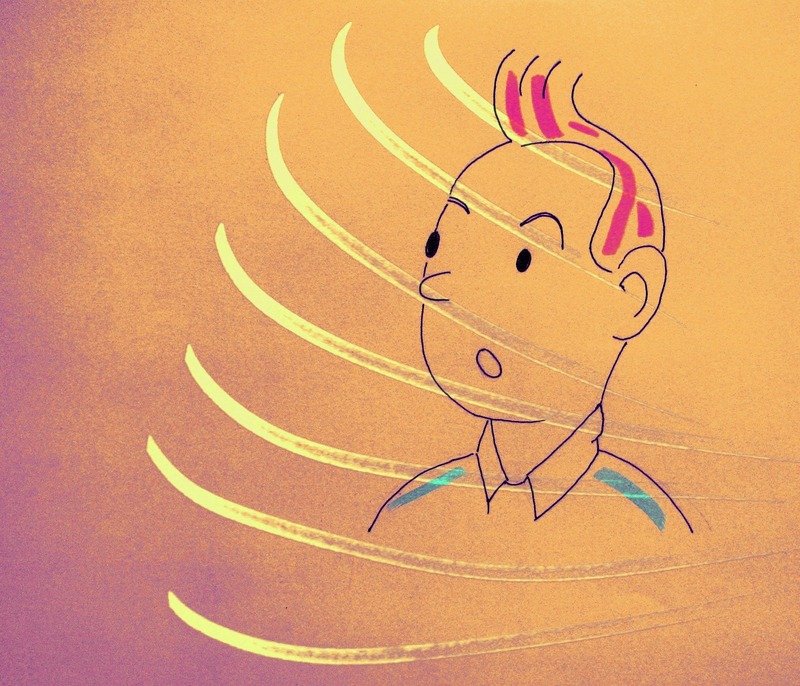 “ On the second morning of that stadium run, I was answering calls from work,’’ he recalled. We were at a coffee shop in Chembur, not far from his office and its modest fleet of trucks and trailers plying the roads of western India. It was quiet in the café compared to the busy road outside. The road led to Navi Mumbai and destinations like Pune, Goa and Bengaluru beyond. Most runners have a story, one that harks of transformation. Girish too has one. More than just a story, for anyone who has run in Mumbai these past few years and crossed paths with him somewhere on the road, it is a small movie of transformation playing out in front of you. In appearance, Girish is now an absolutely fit person. He reminds of a triathlete, which he isn’t yet. Two to three years ago, he was visibly on the heavy side. Somewhere in the time elapsed since, his persistent physical activity saw him get past that point of no return for fat to continue sticking around. He transformed to athletic build. The Girish of old was actually heavier than the Girish we met for the first time on Mumbai’s Marine Drive, a couple of years ago. Born October 1973 in Mumbai, Girish is the middle child among three siblings. The family lived in the Mumbai suburb of Sion. “ My father ran a transport business. He is now 78 years old. He is my inspiration. Both my parents are diabetic. For the last forty years, they have lived a simple life and stuck to their daily walking,’’ Girish said. He attended school at AMK Premier High School in Sion, studied commerce at Podar College in Dadar and pursued his cost accountancy and chartered accountancy. Life nudged him towards taking over his father’s business, which he eventually did; merging it with a transport business he himself founded to merit the fleet size he managed when we met him. Apart from playing cricket in college and being good enough to be included in the Podar College-team twice, Girish had no other involvement in sports. In 1997, he did what many in India do – he went in for an arranged marriage. Five years later, he was a well looked after-93 kilos. Concerned, in 2002, he joined a gym. He was regular with his work-outs there. The main goal was to cut down weight. But 11 years ago, in 2006, a crucial twist happened in Girish Bindra’s life. Girish was at his sister’s place in Ahmedabad, when for the first time ever, he got convulsions. 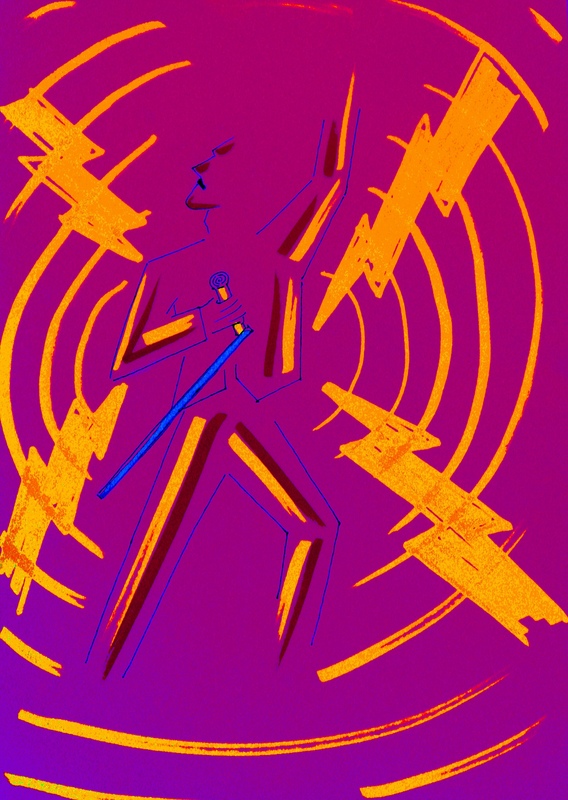 In the course of one night, he got three epileptic seizures. The subsequent medical investigation revealed cysts in the brain and neurocysticercosis, a major cause of acquired epilepsy. It is a serious condition. Neurocysticercosis is a form of cysticercosis, a parasitic infection. The onset of the infection was attributed to excessive intake of salads. Doctors advised strict rest and no work-out at the gym, for one year. 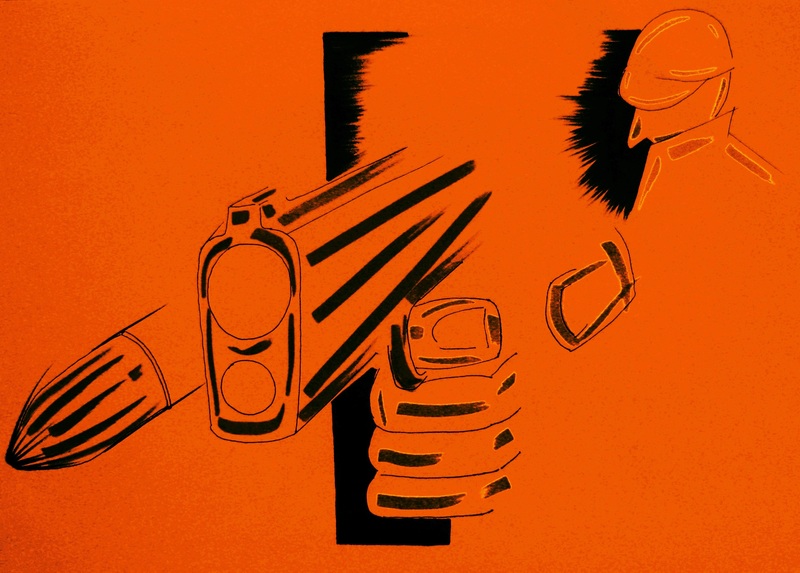 Every day, Girish had to take 20-22 tablets. “ I was quite depressed,’’ he said. The changed lifestyle was unbearable. He had come to enjoy his daily work-outs at the gym. He used to do weight training and exercises for cardiovascular fitness. 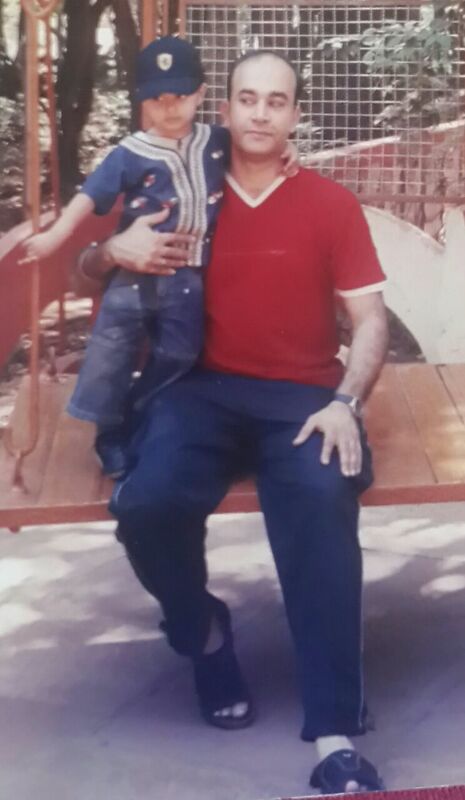 To compensate for the lack of gym visits, Girish started going for walks at Five Gardens in Matunga. One of the oldest instances of planned urban development in Mumbai; it is an area now popular with walkers and runners. During his days of walking there, Girish inevitably came across the specter of others running. “ I thought why not give it a try,’’ he said. Slowly, he progressed from walking to a bit of running. But he got tired easily. “ Three hundred to four hundred meters of running and I would be a panting mess,’’ Girish said. Improvement was gradual. In six to eight months, he reached the stage where he could jog 8-10 kilometers. Running and its accompanying gift of endorphins helped Girish combat his depression. In turn that enhanced the pace and quality of his recovery from neurocysticercosis. 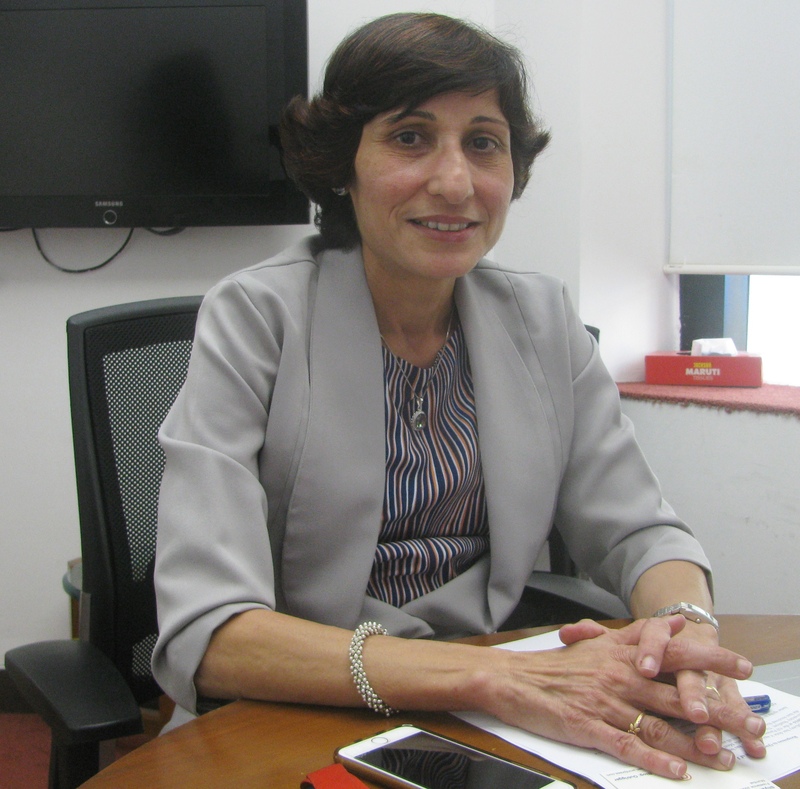 His doctor – Dr Ramesh Patankar – was happy with the progress, Girish said. In retrospect, a seemingly insignificant factor may have also helped. Many of us commit the mistake of focusing excessively on the upper body while working out. That is the physical landscape of our vanity. The legs are typically forgotten. Girish didn’t do that. At the gym, he had invested effort in exercising his legs too. So when the time to run came, his legs were in a position to cope with the strain. Girish’s interest in running gathered momentum. The seizures had happened in 2006. By 2009, Girish was off medication. By 2010, he was also free of the half yearly medical check-ups doctors wanted him to do. 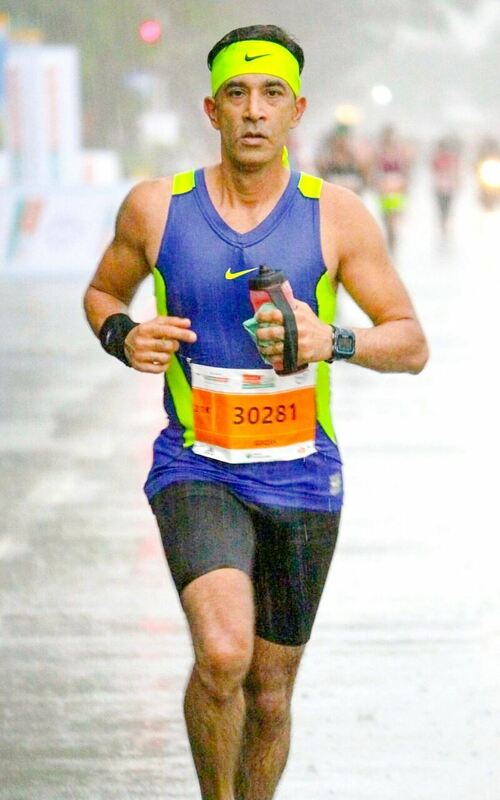 In between, in 2008, he registered for the half marathon segment of the 2009 Standard Chartered Mumbai Marathon (SCMM), now called Tata Mumbai Marathon (TMM). “ That run was my first half marathon. It was the most I had run till then. I found it tough. I finished in two hours, 55 minutes. However notwithstanding the difficulty, I enjoyed it very much. 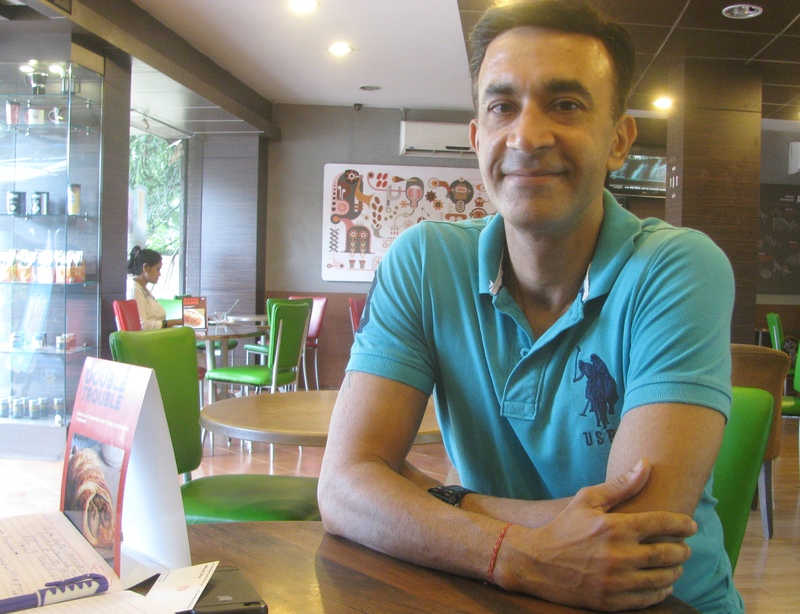 It was a liberating experience, I felt very positive,’’ Girish said. There was no looking back after that. Girish began running regularly. He kept up his regular visits to the gym too. In 2012, he signed up on Facebook to be part of Mumbai Road Runners (MRR), one of the biggest runners’ groups in the city. The introduction came through Runners for Life (RFL); MRR had a relay on a five kilometer-route in Navi Mumbai, which Girish subsequently went for. He liked the outfit and became a regular on their practice runs. Through the network of friends he gained at MRR, his got introduced to more events in running. In 2013, he registered for his first full marathon, signing up for that year’s Vasai Virar Mayor’s Marathon (VVMM), an event on Mumbai’s periphery loved by runners for the fervor and scale of its cheering. 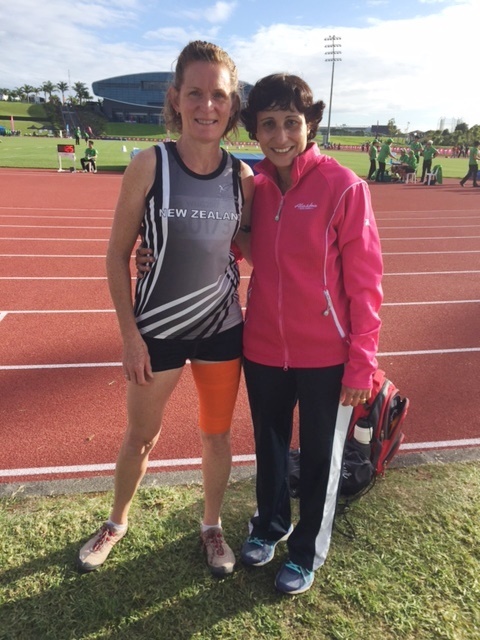 In as much as VVMM greets you with infectious cheering, it tends to be a hot and humid race. The 2013 edition was notoriously hot and humid. Girish got cramps after 30 kilometers and had to walk the rest. He finished in five hours 27 minutes. As paradigm change from the half marathon, Girish said, he had no difficulty embracing the full marathon. “ I genuinely like to run. So for me, it was an invitation to run more, do more of something that I anyway enjoy doing,’’ he said. 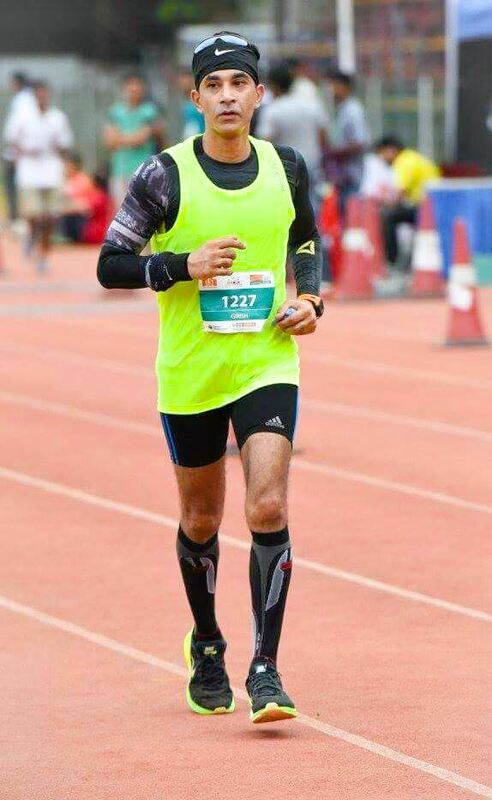 According to Girish, since 2012, he has participated in more than 45 half marathons and 11 full marathons, including the well-known races in Mumbai, Vasai and Hyderabad. His best timing in the half marathon was 1:35; in the full it was 3:43. It doesn’t stop at these established distances. Girish had done 20-25 races over the 10 kilometers-distance; his personal best was 43 minutes, eight seconds. He had also done 12 ultramarathons, including those spanning distances of 75 kilometers and 100 kilometers. He had two 12 hour-stadium runs (one each in Mumbai and Hyderabad) and two 24 hour-stadium runs (Bengaluru and Mumbai) under his belt. The 2016 24 hour-stadium run in Bengaluru, where he placed second covering 182.8 kilometers, had qualified him for the world 24-hour endurance championship due in Ireland in 2017. He got to know of his qualifying only much later and so could not go. However in 2017, he achieved another personal milestone, ending fifth in the 48 hour-stadium run in Bengaluru, covering 252.8 kilometers. This repertoire, spanning 10 kilometers to ultramarathons and 48 hour-stadium runs, can be found among amateur runners but it is not something people persevere to retain. Most gravitate towards a chosen discipline or two. Girish has no such plans yet. “ I love speed as well as mileage. Whatever it is, I work to give it my best. I am a fighter in life. I have seen what I went through; there was that medical condition, I also overcame financial difficulties in my business. I don’t want to repent not having tried anything,’’ he said. It is important to note that Girish’s journey in running never had a coach in it, save four months of training he did with Raj Vadgama. For someone navigating his route by himself, Girish has done remarkably well. He reads up on running. 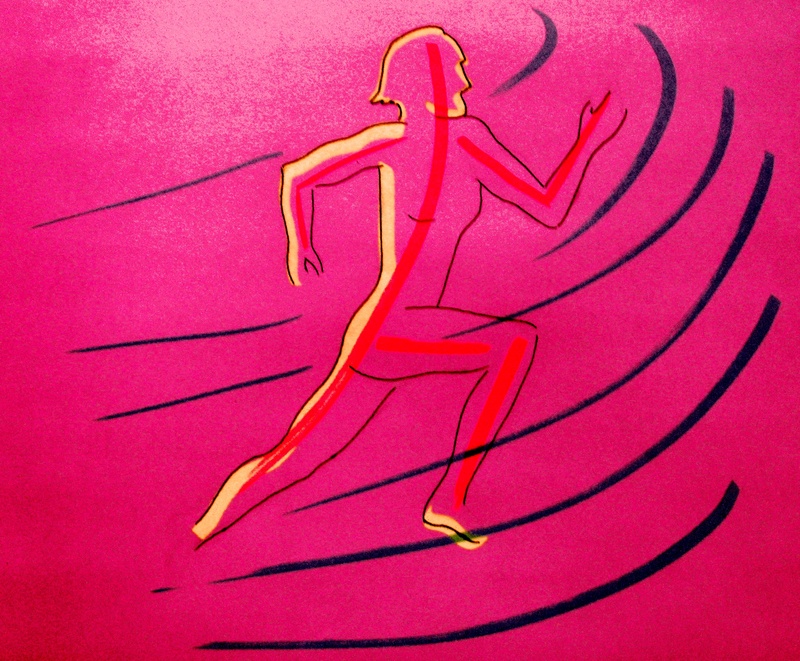 He listens to his body and appears to have struck a healthy balance between actual running and strengthening his body. At the time of talking to us, his weekly mix was approximately three days of running and four days in the gym. He used to cycle but has since given up on cross-training; a judicious balance between running and working out was his mantra for continuing the journey. “ The strengthening exercises and stretching I do at the gym have helped me,’’ he said. His recovery after strenuous events is good. At the time we met him, Girish was not following any special diet. He liked his food as tasty and wholesome as they came. The largely self-taught runner had also doled out training plans and tips on training to his friends in the sport. “ It gives me immense pleasure to be of use like that,’’ Girish said. Chittu Shetty, 50 years old in 2017, had met Girish through MRR’s practice runs. The two used to pass each other while running on the road. Chittu was always doing long runs and Girish had been noticing it. When the two got talking, Girish offered advice. “ He is a very approachable person; somebody who is willing to help. He gave me tips on resting and improving my speed. I followed it and my performance in the half marathon improved. I used to finish running 21 kilometers in 2:15 or so. I was able to haul that up to 1:53. Similarly in the full marathon, he gave me tips like the right stage to have an energy gel. My personal best in the full is now 4:23,’’ Chittu said, when contacted. MRR runs were the context to meet Girish, for Ritu Kudal too. As of 2017, she had been running for six years. 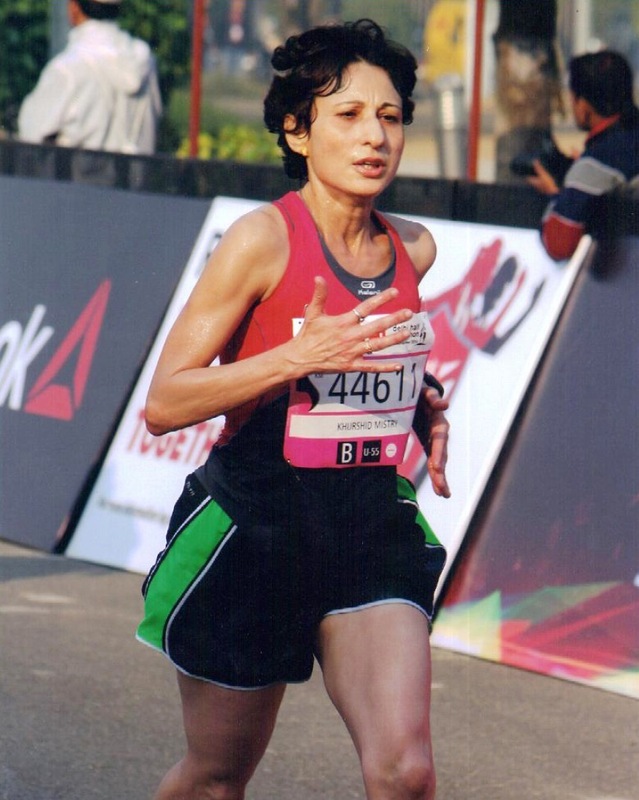 For the first four years or so, when Ritu stayed focused on the half marathon, Girish provided her periodic tips on improving performance. 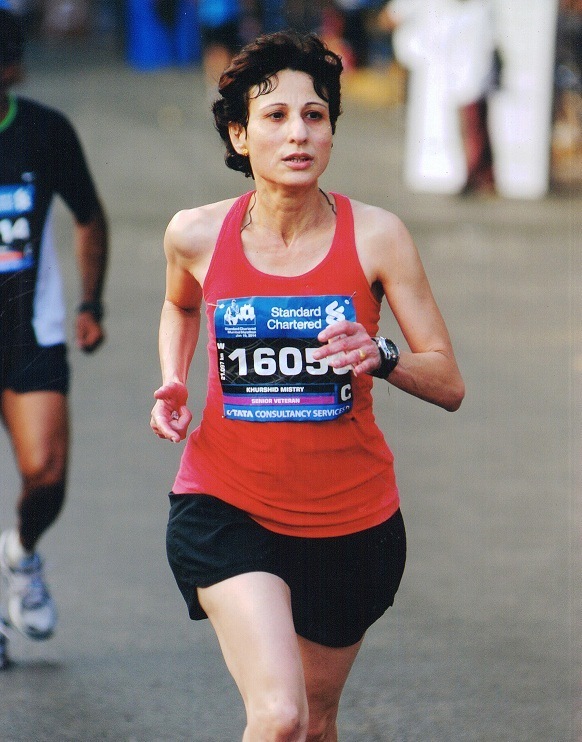 In 2016, she decided to train for the full marathon segment of the 2017 SCMM (now TMM). 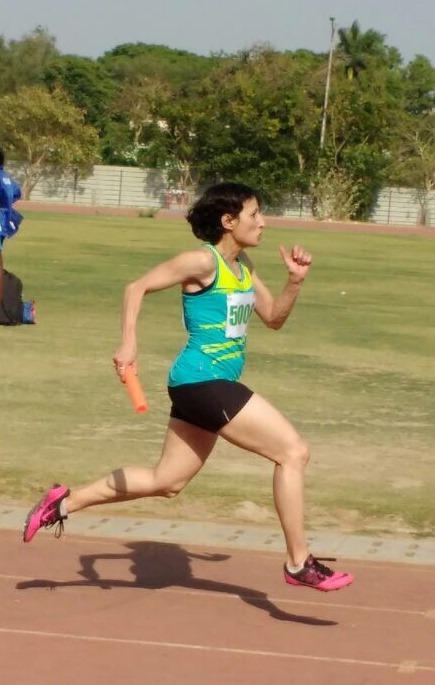 That needed a whole plan and Girish provided her with a comprehensive training plan, starting in July-August 2016 and leading up to the race in January 2017. “ It was a good plan; one that really helped me. 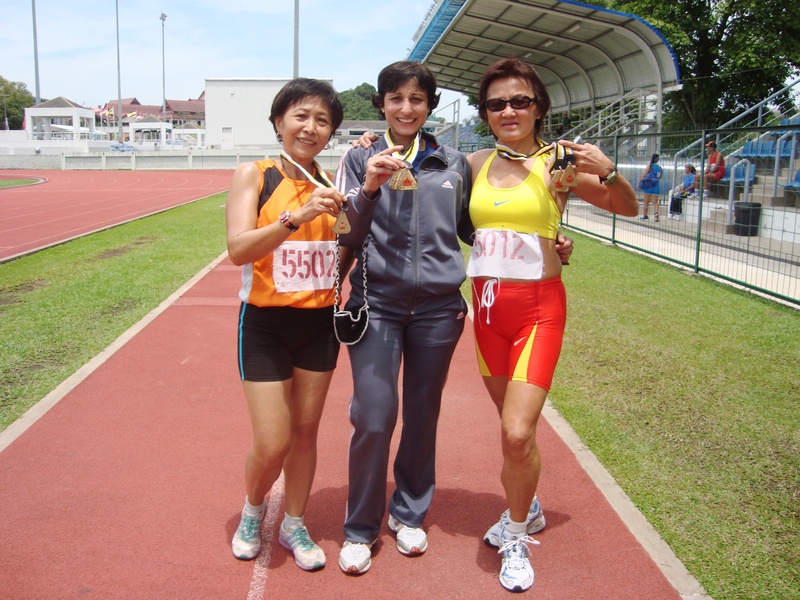 I finished strongly and did not suffer any cramps,’’ Ritu said. Her opinion of Girish was similar to Chittu’s. “ He is a very down to earth person, very grounded,’’ she said. For Girish, quality of training matters more than quantity. The number of days in a week that he actually runs remains pretty much the same; it hasn’t altered despite portfolio of disciplines ranging from ten kilometers to the ultramarathon. Within that, intensity and mileage may go up depending on whether he is training for a ten kilometer-run, a half marathon or a full marathon. During the course of a regular week, he can be usually seen doing hill work-out every Wednesday near Mount Mary’s Baslica in Bandra, speed intervals every Friday at Five Gardens or on the Eastern Express Highway and long runs of 20-30 kilometers every Sunday, commenced either at Shivaji Park or Nariman Point. 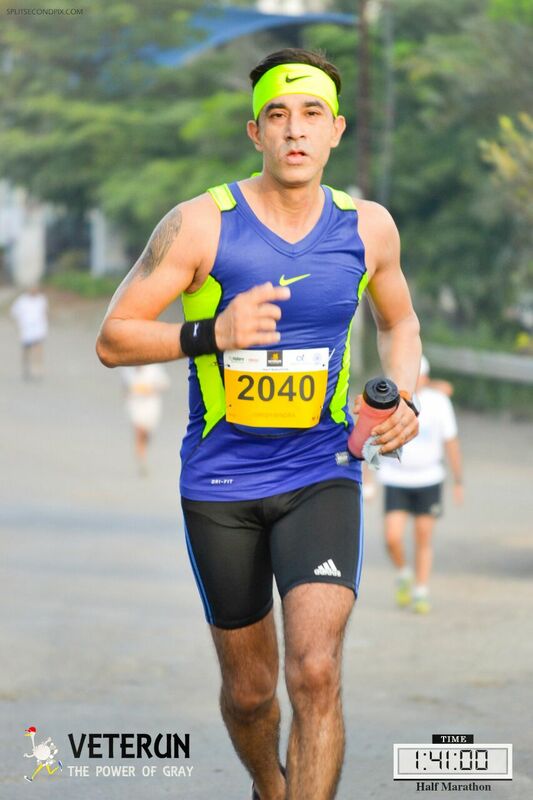 Not long before we met him, Girish completed his course in marathon training from Exercise Science Academy (ESA), Mumbai. Officially therefore, he is now a certified trainer. It is a line of work that he would like to grow. Japanese athletic equipment manufacturer, Asics, is set to start its running club in Mumbai from October 2017. Girish said that he has been selected to work with them as a coach. In terms of races ahead, Girish had registered for the 2018 Comrades in South Africa. He admitted that work pressure denied him the chance to travel and run at various locations, he would otherwise love to. 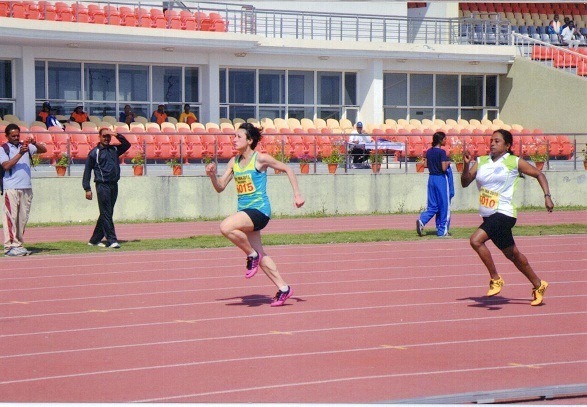 A destination like Ladakh for instance, requires runner to include a proper acclimatization schedule. Many days away from work is tough for transporter juggling the responsibilities that go with trucks heading this way and that. Well supported runs at easily accessed locations, at altitudes not drastically different from Mumbai’s, are therefore easier to handle. But one wish still defies this time constraint authored by business – at some point he would like to attempt Badwater Ultramarathon in the US. For all the personal supervision Girish must do in his business, he maintained some clear switch-off points in his daily work schedule. His running is always in the morning. For regular runs, he is up at five in the morning. On days of long training runs, he is up at 3.30-4AM. After his running, he heads to work. Every evening he heads from office in Chembur to his gym in the same suburb. By about 7.30-8PM, he makes sure he is home for time with his family. Girish has two sons. The eldest, he said is creatively inclined. Except Girish, nobody from his family is into running. In much of the narrative about his running, that world and the world of his family don’t overlap. 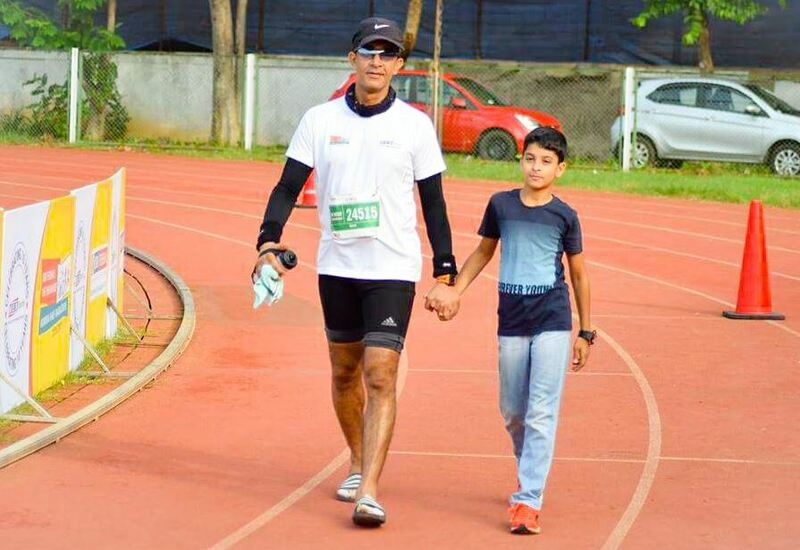 However, during the 2017 24 hour-stadium run in Mumbai, his wife, Rashmi came to see it and after Girish developed a bad case of blisters on his feet, which reduced him to walking, his younger son joined him on the 400 meter-track, keeping him company for some of the mercilessly repeating loops. “ That felt good,’’ Girish said. In early September 2017, I read a news item from Kerala that spoke of a state based-adventure outfit wishing to put women from South India on top of Everest. It made me sad. Not because Everest is unworthy of aspiration but because it captures our attention at the expense of other equally worthy if not worthier objectives. To begin with, in May 2014, Malavath Purna, a 13 year old-girl from Telangana had successfully scaled Everest. She was at that time the youngest girl to ascend the peak. That’s sufficiently record-making for South India if you ask me. Maybe then, the adventure outfit’s reference was to people from Kerala. While anyone is free to raise the required funds and attempt Everest, it is a fact that in mountaineering, Everest is equated with guided mountaineering as long as one is attempting it by its frequently climbed routes. The most important factor in guided ascents of prized peaks is whether you – as client – can afford the cost of permit, gear rental charges and the fees of the guiding company. In Everest’s case that is a big amount. Everest tests your stamina. It also tests your purse. A guided climb of Everest by the normal route does not automatically make you distinguished in the company of mountaineers. Discerning climbers will seek details and they know well that challenging peaks are available elsewhere too in the Himalaya. On the other hand, alpine style ascents on Everest or climbing it by less frequented routes are ideally tackled by experienced climbers for they are quite difficult. If you can raise enough money to climb Everest; then directing those resources to any other part of the Himalaya will yield plenty of peaks of lesser height that cost less to climb. Should Kerala structure a mountaineering program that puts the focus on less known Himalayan peaks, it would do climbing a service. Some of these peaks are genuinely challenging. Ascents on them have been the stuff of award winning mountaineering. For those who define adventure differently from courting a tonne of risk (I belong to that category), these lesser mountains and their landscapes also harbor much wild beauty and solitude. Currently they don’t fascinate Indians as much as Everest because we and our media are still in the early phase of mountaineering. We haven’t got under the skin of climbing. We remain awestruck by Everest. That’s why the world’s highest peak, climbed by many and their guides every year, continues to attract. A good example of its popularity and symbolic value is betrayed in the experience of a well-known mountaineering club from western India. Having climbed Everest successfully, this club tried raising funds to climb other peaks. It didn’t work. It was easier to find sponsors for yet another Everest expedition with adjacent peaks included. Among mountains, Everest fetches sponsors and when it comes to money to attempt other peaks, Everest done or Everest too in the frame, is the stamp that fetches sponsors. When individual aspirants fall short of funds for Everest, they borrow. Some even take bank loans. For these folks, a trip to Everest and summit missed means investment lost and life in debt. Such stories have been reported in the media. Further, government departments awarded promotion at work against Everest ascents recorded. Potential recognition of this sort, which has nothing to do with climbing, inspires its share of unrealistic expectations, not to mention fraud. I climbed Everest but didn’t get due recognition – is a complaint sometimes heard. Meanwhile, a husband and wife team from India was shamed not long ago for faking their summit photo. Given several states have already seen their residents ascend Everest, I wonder if yet another Everest expedition or creating a training base for those aspiring to climb such a costly peak, deserves priority. Sure it can be a business opportunity, for those seeking guided ascents up Everest are clearly people willing to spend money for it. However if one is imagining sport with support from state exchequer in mind, then I submit what Kerala must do is something else. As a coastal state, it must embrace water. It must encourage disciplines like swimming, distance swimming, sea kayaking and sailing. Water rarely gets the attention it deserves in our imagination of adventure although it forms 70 per cent of the planet and is deep enough to sink mountains. 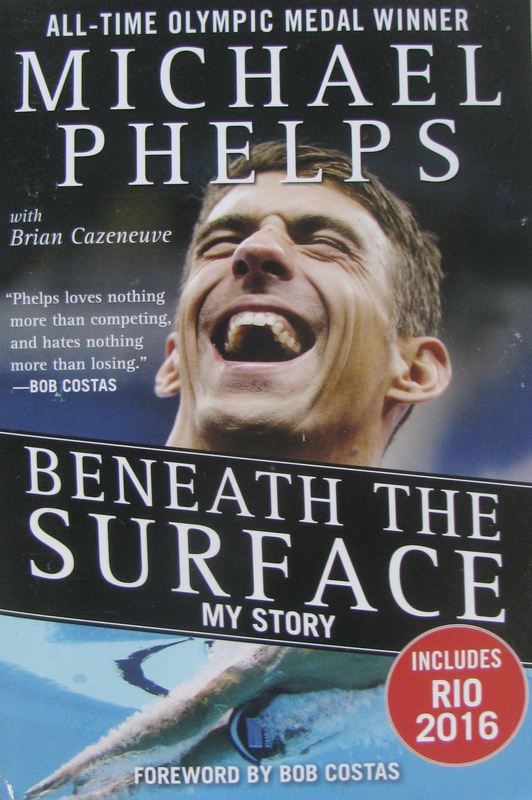 In his autobiography, American swimming legend Michael Phelps states his admiration for Australia. Down under swimming was one of the most popular sports, a position unheard of for swimming elsewhere. Phelps wanted this to happen in the US too. Access to water and sea is Kerala’s real gift. There is nothing wrong in wishing to meet the Himalaya. In fact, there is nothing wrong in anything you choose for adventure – it is your instinct, your choice. Just that in Kerala’s case, it would be a tragedy to hanker after the Himalaya far away, and merit in the process, guided swims and sailings in the Arabian Sea lapping at one’s feet. 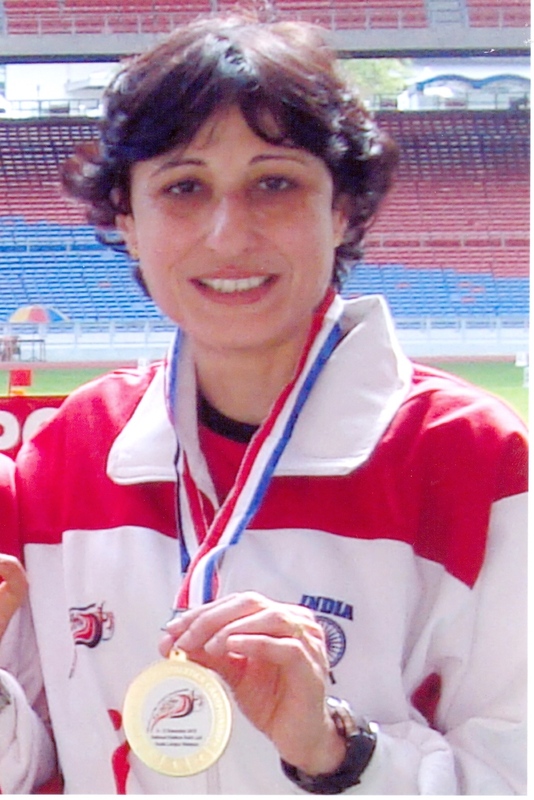 Kerala has produced good swimmers who topped nationally. A couple of them also participated in the Olympics. Kochi has a marina. It is hometown of Commander Abhilash Tomy KC, the first Indian to do a solo nonstop circumnavigation of our planet in a sail boat. Did this translate into policy supportive of water sports in the state? I doubt it and by supportive policy, I don’t mean events (that’s tourism). I mean training and empathy for those wishing to court water. I have also not heard of any endeavor from Kerala that is the equivalent of an ` adventure’ on water. Further, for the record: swimming cannot be substitute for regular climbing as means to be good at mountaineering. But it provides physical fitness and cardiovascular health; both essential for any endurance based activity, including mountaineering. There is a lot that focusing on water can yield – it can help you excel on land, if land still be your chosen medium for adventure. If you are in Kerala and can call upon government, companies and people to contribute resources, what would you attempt for adventure – Everest or a long distance swim or voyage? News of the concert had been brewing for a while. In that time, the newspapers had made Bob Geldof and The Boomtown Rats names to know. I knew nothing more of them. 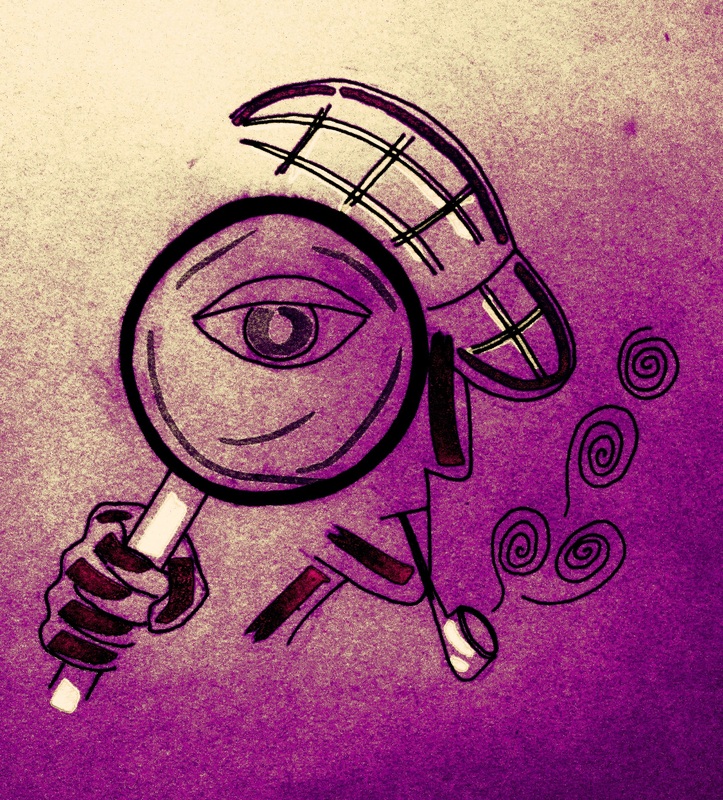 All-knowing by instant search wasn’t yet in. 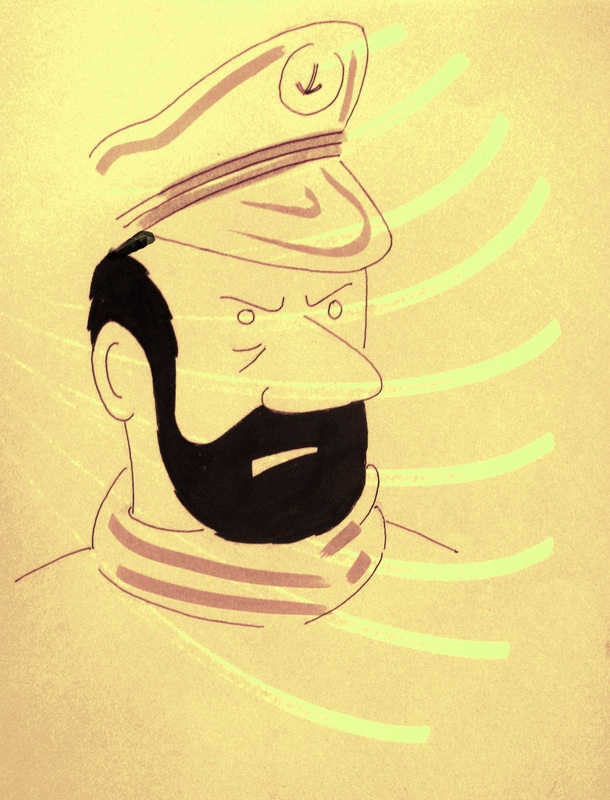 Google’s birth was another thirteen years away; easily accessed Internet even more. Being curious about universe and welcoming of world, I memorized the names for conversation with musically inclined friends. Geldof was the main organizer of the upcoming Live Aid, a massive rock concert to help victims of the famine in Ethiopia. It was to be held simultaneously in London and Philadelphia. The event was to be broadcast live across 150 countries; India was one of them. Some of the world’s biggest bands were heading straight to our living room. Television in India was young those days; colour TV younger still. There was only one broadcaster. Single broadcaster catering to the tastes of 780 million people (India’s population in 1985) meant that something fitting your taste on screen was both fleeting and a household event. Rock concert on TV was very rare. That year – 1985 – had seen the release of Brothers in Arms, the album that made Dire Straits a phenomenon. Thanks to Thiruvananthapuram’s music collectors and the network of the interested, we used to make up for Google’s absence and somehow access the music. I liked Dire Straits; they were expected to play at Live Aid as was Led Zeppelin in a much awaited reunion. D-Day was July 13. We watched the telecast together, as a family. What I remember best from that telecast is what has since become famous as the greatest live performance in the history of rock music. We gazed in amazement at the TV screen as the people gathered at London’s Wembley Stadium (over 70,000 were present that day) raised their hands in the air and clapped in unison to Queen’s Radio Ga Ga. Then Freddie Mercury put them through a few vocal improvisations and they sang as he did, note for note. By the time the band was concluding its set with We Are the Champions, the Wembley crowd was swaying like a forest in the wind. On stage, Freddie Mercury was brilliant. It would be revealed later that Queen’s sound engineer may have tampered with the volume limit assigned to speakers, making the band the loudest act of the day at Wembley. If so, the band was unrepentant about it. Unlike many of the other bands at Live Aid who reportedly took their performance casually, Queen had come prepared and rehearsed. They intended to leave an impression. They did just that. Journalists writing on rock music have since compared it to one of those defining moments a lifetime of existence gravitates to. Freddie on stage at Live Aid was in such a moment. Live Aid was also an opportunity to see U2, two years before they became a smash hit (and one of my favorite bands) with the album, `Joshua Tree.’ Queen and U2 warmed up to me differently. U2 peaked with my own advent to rock music-loving age, my craving in ever lonelier world for music as companion. I fell in love with Still Haven’t Found What I’m Looking For the first time I heard it. It remains a favorite even now. Which seeker in the head can resist such a song? Queen on the other hand, took time to connect. Notwithstanding their popularity, I found the architecture of Queen’s music stiff and set in an ecosystem that was very European and British. They felt like a group hang-out. You bonded over their songs. For example, it isn’t music you seek in We Will Rock You, a song so evocative of tribe; you seek belonging. Long after Live Aid, I had friends who swore by Bohemian Rhapsody and We Will Rock You. I found Bohemian Rhapsody an engaging mix; it was baroque, operatic and rock. But a sucker for the traveling spirit, I wanted something less rooted. Perhaps something less grand and more portable? As a young journalist in Mumbai enjoying life’s early flush of hard earned income, I also remember sitting in pubs and singing along to I Want To Break Free. I outgrew that. More to my taste were songs like Breakthru and The Invisible Man. But over time, it was another Queen number, A Kind Of Magic, which remained in head enduring life’s ageing process. I love its barreling sense of momentum, soaring vocals and surface-skimming lead guitar; it gives me a feeling of hurtling along to somewhere and nowhere in particular, all at once. Above all I love the unbridled energy that characterizes Freddie’s rendition of this song at the July 12, 1986 concert in Wembley, a year after Live Aid. It is an image of absolute confidence. The video of the performance (available on YouTube) reminds you of Live Aid. It smacks of sensing opportunity. Just past the 45th second as Freddie launches into the song, he looks towards the audience, through the haze caused by the fog machine, tad uncertain of what to expect. A minute and couple of faint smiles later, he looks to the camera and you see that glint of acknowledgement; he knows the audience is in the mood for magic. Twenty five years after Freddie Mercury’s demise, at a book fair near Navi Mumbai’s Vashi railway station I picked up Lesley Ann-Jones’s 2012 biography of the singer. My curiosity for it was the same as for a book on running, climbing, cycling, swimming or any such activity. Why should rock music be seen differently? Its all life; its all universe. Among other details, the book noted that Freddie’s first band was the `Hectics,’ formed at school in Panchgani by a 12 year-old Freddie and his schoolmates. 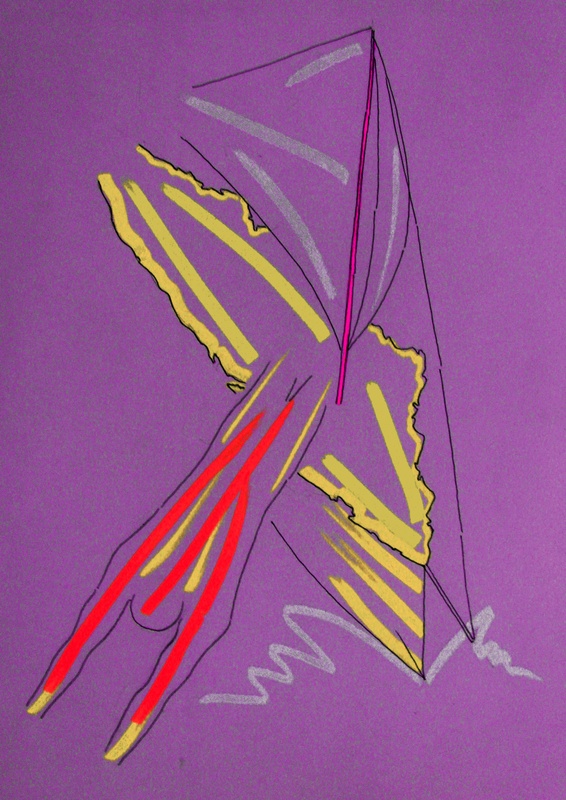 An artistically inclined person given to sketching, he later took a diploma in art and graphic design, in London. His idol in rock music was Jimi Hendrix. According to the book, as successful rock star, Freddie rarely elaborated on his early years in Africa and India. On the other hand, it suggests that prolonged separation from his parents at so early and sensitive a stage in life, thanks to his schooling in distant India, may have impacted Freddie and contributed to the performer and person he became later in life. For long, Queen was a favorite with rock fans in Mumbai. Now a new generation and their music have taken over. Not to mention, Bollywood. 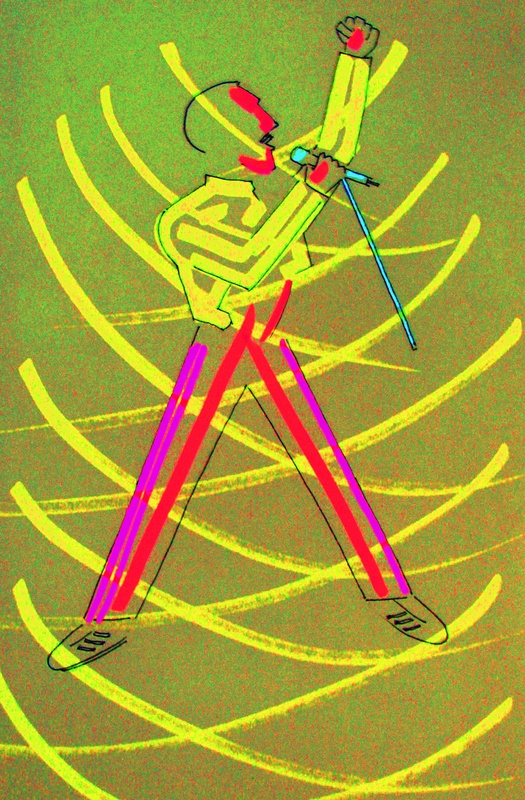 The last big act in town was Justin Bieber (he was born three years after Freddie Mercury died). Movies have been made on artistes like Jim Morrison, Johnny Cash and Ray Charles. In 2010 a film was announced on Freddie Mercury’s life. In the years since, the cast and producers underwent change. When last reported in the international media, Egyptian-American actor, Rami Malek, was set to play the role of Freddie. Live Aid happened 32 years ago. Had Freddie Mercury been alive, he would turn 71 years old, this September 5, 2017.